To Scotland’s most famous writer, whisky was more than just a drink – it was the embodiment of a romantic Highland tradition. Iain Russell delves into his life and drinking habits. 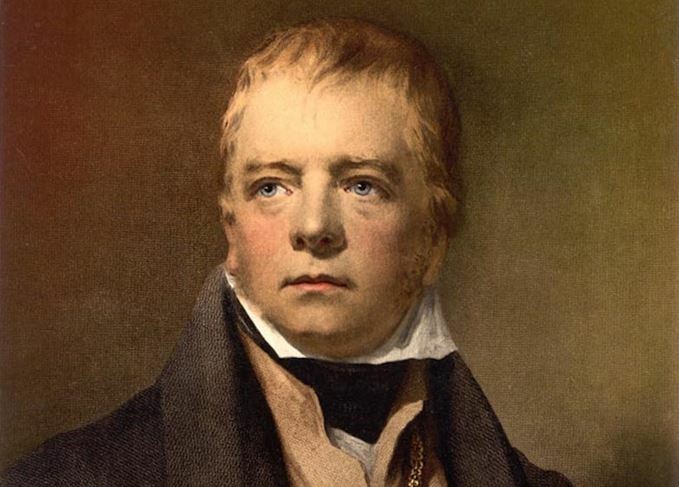 Sir Walter Scott (1771-1832) has many claims to fame, not least as the world’s first popular novelist. He was the prolific author of such classics as Ivanhoe and Rob Roy, as well as a poet whose Lady of the Lake was one of the most influential narrative poems of the age. And he was the man who did more than any other to bring Scotch malt whisky to the attention of polite society in Georgian Britain. Sir Walter saw good Scotch whisky as a noble drink and an integral part of the idealised Highland culture that provided the inspiration for much of his writing. When King George IV visited Edinburgh in 1822, Sir Walter was charged with arranging pageants and entertainments at which Highland single malt whisky featured prominently. Whisky became a feature of the mania for all things Highland and tartan that subsequently swept the nation. While Sir Walter enjoyed drinking Champagne and ale (not always at the same sitting), whisky was the tipple that appears to have been closest to his heart. This was due as much to personal taste as to fashion – he noted frequently in his diaries that he found whisky mixed with a little water, or in a ‘toddy’ with sugar and lemon, to be an excellent drink to be taken before retiring to bed. His cellar was well-stocked, and not all of his whisky was purchased locally – in 1813 he boasted to a lady friend that he had ‘plenty of right good and young Highland Ferintosh’ in his cellar, and a few years later mentioned that he had ‘treated [him]self, being considerably fagged, with a glass of Glengarry’s super-excellent whisky’. Whisky, for Scott, was a symbol of the uncomplicated pastoral lifestyle he tried to follow at Abbotsford, his great mansion in the Scottish Borders. Sir Walter loved ritual and ceremony, and whisky lay at the heart of the great entertainments that he staged for guests at Abbotsford. In this he was aided and abetted by his gardener, known to all as ‘John of Skye’, who was a character of imposing military bearing and a talented piper. The spectacle at Abbotsford began in earnest before the ladies retired and the gentlemen lit their cigars. John would appear on the grounds in full Highland regalia, marching up and down the lawns while playing his bagpipes with gusto. Then, at a discreet sign from Sir Walter, he would disappear from view, before suddenly striking up a tune and bursting into the dining room, marching around the table. After several tours of the table, he stopped at the great author’s chair, accepted the offer of a large quaich brim-full of neat whisky. He drank it down in one, all the while marching on the spot and continuing to play with one hand. Then he departed into the night, leaving Sir Walter’s guests to marvel at his musical ability and capacity for strong liquor. Sir Walter’s popularity survived long after his death in 1834, and he became the epitome of ‘Scottishness’ – the country’s equivalent, perhaps, to England’s William Shakespeare. Many Scottish businesses associated their products with Scott’s romantic vision of their country, its heritage and its people, and Scotch whisky companies were particularly eager to reference Scott on their labels. The Antiquary, Bailie Nicol Jarvie, Dandie Dinmont and Roderick Dhu were just some of the famous brands named after Sir Walter’s novels and fictional characters, and the Glenmorangie Distillery Company adopted his image as part of the company’s trademark. But what of the great John of Skye? What became of him after the demise of his patron? Sadly, John’s fame was more short-lived. He continued to play his bagpipes at weddings and other functions, despite increasing signs that old age and, perhaps, an over-fondness for whisky had taken their toll. He began to suffer delusions, believing himself to be a descendant of Robert the Bruce and the rightful heir to the throne of Great Britain and Ireland. Finally, in 1847, he died in a fever epidemic which swept through Edinburgh. His bagpipes, gifted by Sir Walter, were sold for a song. His body, with no family to claim it, was sent for dissection in one of the city’s medical schools. Walking in the footsteps of Alfred Barnard – and getting to know Speyside’s wilder side.